Dave of Octopus Party Nail Lacquer has been busy concocting new potions for and Early Spring 2017 Collection. 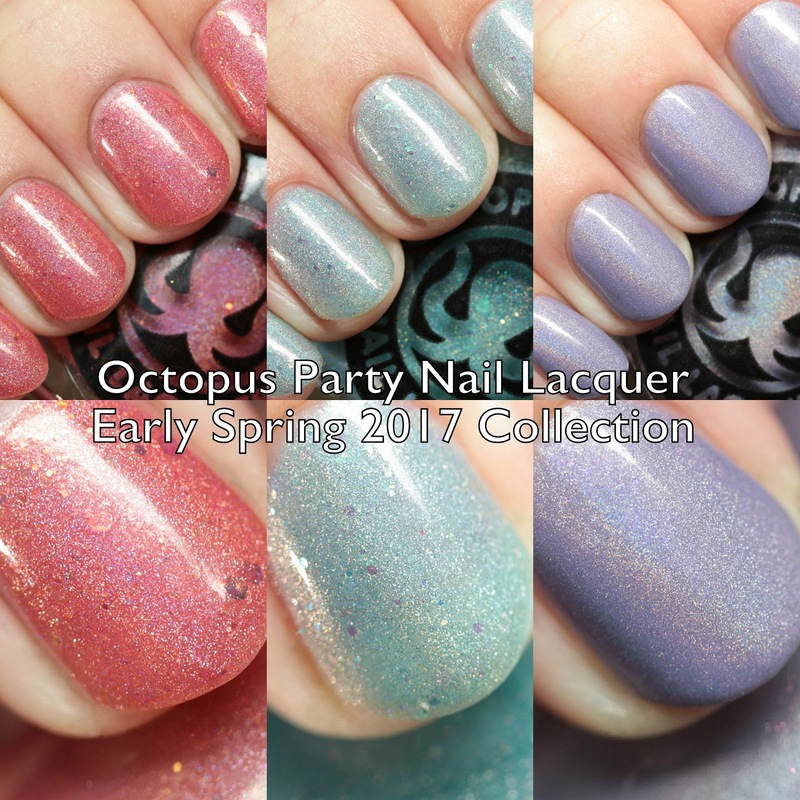 Two of these shades are general releases and one is a group custom for the Facebook fan group, The Octosquad. Please join for fun and shenanigans! The two new collection shades will be available for pre-order February 24 to 26, and the custom the week after. Let's have a look! Maui Howie is a pink-coral linear holo jelly with iridescent duochrome glitter. I wore it in four thin coats, but three would do or it can be layered over another color. Great formula! 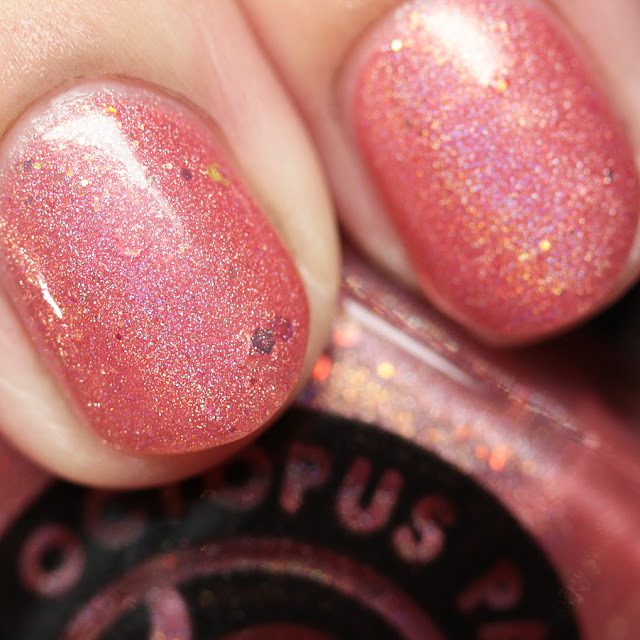 Octopus Prime is a robin's egg blue linear holo jelly with iridescent duochrome glitter - the formula is similar to Maui Howie - it can be layered on its own in three or four thin coats or over another color. I personally like the depth of it on its own. This is the group custom - join The Octosquad to purchase! 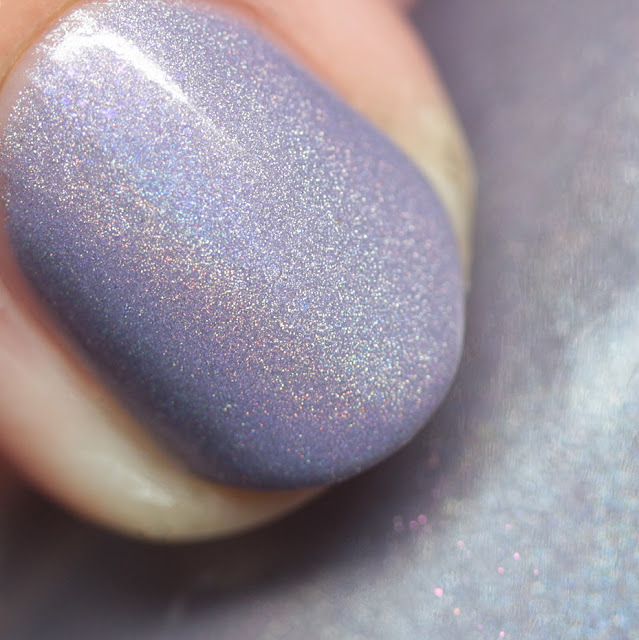 Soft Swerve is a cool lavender linear holo with sparse multichrome flakes. This has a gorgeous, quick-drying formula and great wear time. I wore it in two thin coats. This one is stunning! Maui Howie and Soft Swerve will be available for pre-order from February 24 to 26. Octopus Prime is The Octosquad group custom - join the group for more information on purchasing that!